This 34mm. 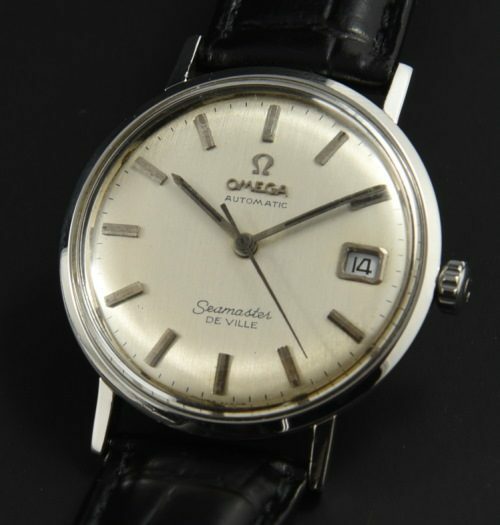 OMEGA Seamaster DeVille has a great looking original dial. The Steel case gleams. The correct notched OMEGA crown is installed. These are highly sought-after watches that look sleek and modern on the wrist. The raised sea monster relief logo on the case back adds interest. 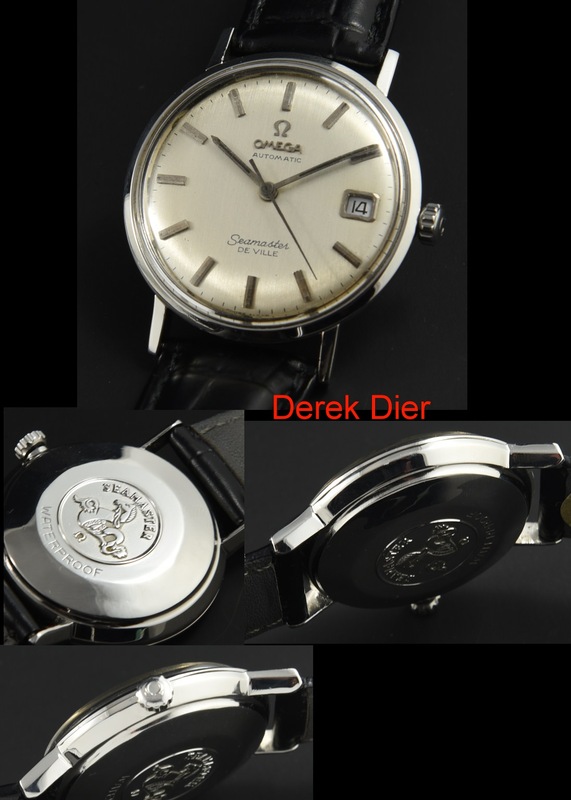 The automatic winding OMEGA movement was just cleaned and is accurate. This OMEGA watch is among my favourite to wear. Just $1150.